It seems almost surreal to think that, even in the face of brand-new AAA titles like Assassin’s Creed Unity releasing the same day, a game that first hit store shelves over six years ago would be the most downloaded game on Steam. Perhaps that just goes to show the kind of following that SEGA’s strategy RPG, Valkyria Chronicles, has, even after its initial PlayStation 3 release in 2008. 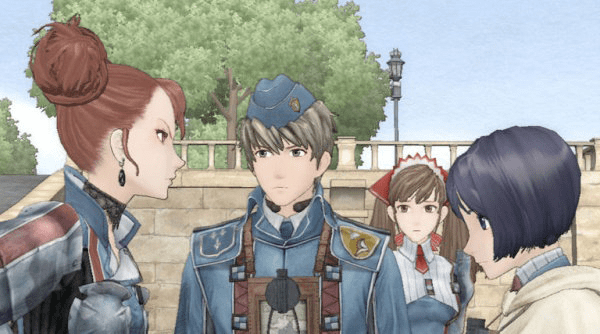 Valkyria Chronicles is a strategy RPG loosely based on the events of World War II. After Imperial forces from the east invade the neutral country of Gallia, players take control of a young man named Welkin Gunther and the soldiers of Squad 7 of the Gallian Militia. Players will fight through a host of operations as they try to repel the invasion of the small country. With unique characters like scouts, shock troopers and snipers (all of whom are controlled through third-person style gameplay), players will have to consider both terrain and the strengths and weaknesses of different classes to come out victorious. Probably Valkyria Chronicles’ biggest claim to fame (and the main reason I picked it up on PS3 back in the day) is the fantastic art style through the CANVAS engine. The game looked great on PS3 before, and, if early impressions are any indication, it is only going to look that much better on the higher resolutions that today’s PCs can deliver.